This March Jessica Carey of The Hook Nook leads us through a workshop to create a variety of chunky crocheted baskets. In this project we are exploring basic and intermediate techniques to learn how to crochet. Jessica’s workshop reviews the tools and materials included in her curated kit, introduces basic crochet stitches, teaches crocheting ‘in the round’, and explores different pattern and building ideas for basic to advanced baskets. We've created an accompanying Stitch Glossary to help introduce anyone to the step-by-step stitches needed to get started. Jessica is the owner and designer behind The Hook Nook and has been designing and releasing her own finished work and patterns for six years. Being a wife and mother to two children, she originally sought to learn to crochet in 2011 when her oldest was a baby. She wanted to be able to make her daughter items she’d be able to keep that her mama made her with love. Six years later, she has now switched her focus to womenswear made with chunky and extra-large fibers. Jessica loves to showcase how a “grandma”-viewed craft can truly blend effortlessly in today’s modern designs. 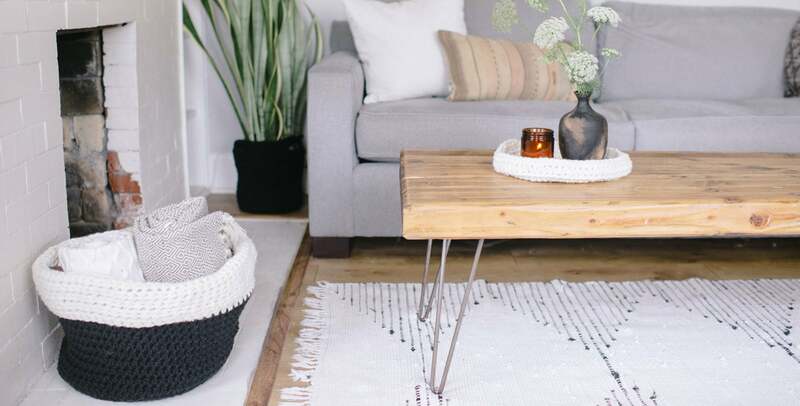 From high end wears to home decor, crochet has officially made its comeback. Jessica has been featured by companies such as JoAnn Fabric & Crafts, Mollie Makes (coming March 2017), CrochetScene Magazine, and many others. Our small business collaboration focuses on the handmade wooden hooks supplied in each box. We've searched the world over for a beautiful hook that is made deliberately and with much thought and love. We're bringing a natural wooden hook to members this month by collaborating with a husband & wife team from Ukraine. We look forward to introducing you to this wonderful crafting technique! Enrollment for this workshop is from February 10-20th, the workshop is live in March. Happy making!